The AREG (VK5ARG) is conducting an experimental re-transmissions of the National and VK5 WIA News Service in the FreeDV-1600 mode. The aim is to encourage amateur radio operators to come and try FreeDV HF Digital voice. If you have FreeDV set up with your HF station why not tune in and see how you go? 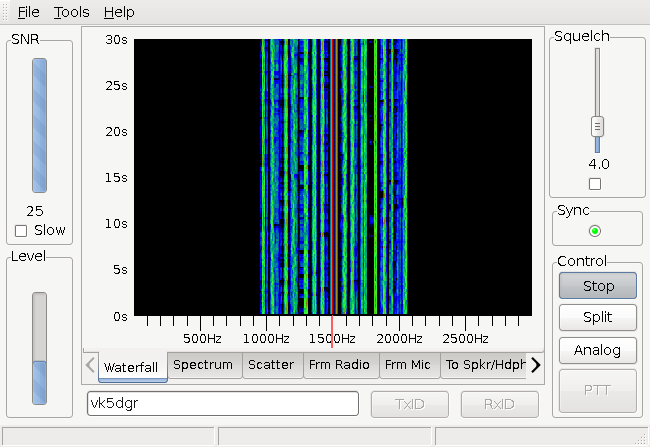 You can use one of the many open source software packages or perhaps using an SM1000 FreeDV modem to receive (and transmit FreeDV. You can visit the AREG HF Digital Voice project page for more information as well! Callbacks are conducted after the broadcast providing an ideal opportunity for you to experiment further with FreeDV! For more information about FreeDV please visit the www.freedv.org website or log onto Internet Relay Chat (IRC) on irc.freenode.net. (http://webchat.freenode.net/?channels=freedv) and connect to the #freedv channel. Thanks to Andrew and Michael for posting samples of what they received online! This entry was posted in Club News, FreeDV WIA Broadcast by VK5GR. Bookmark the permalink.